Looking for Relief from an Enlarged Prostate? Join Dr. Christi Hughart for a Free Seminar on June 28th. RSVP Today! 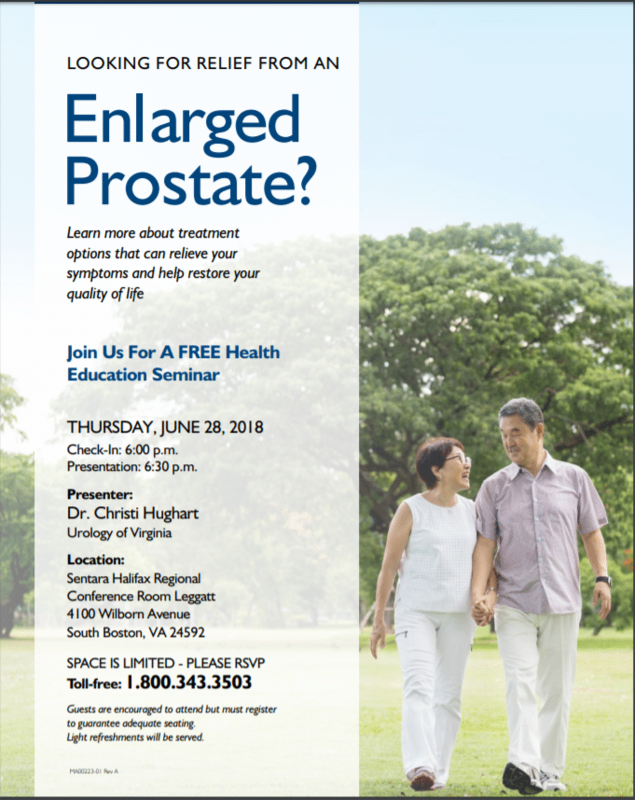 Join Dr. Christ Hughart for a free health seminar on June 28th at 6:00 PM at the Sentara Halifax Regional. Dr. Hughart will be discussing enlarged prostates and treatment options for individuals suffering from them. Please RSVP to ensure your seats!